Modular home builders are the key to every modular factory’s success. The number of people wanting to get into the new home construction business as a site builder, a modular home builder or a skilled subcontractor has been declining since the recession of 2008. The exodus has left the home construction in the US with an extreme shortage of labor to sell, build and finish new homes. Everyone from the largest tract home builders to the small modular home builder have been feeling the labor pinch for years. The East Coast modular housing industry has not seen an appreciable rise in the number of houses built as the number of new builders embracing modular construction has not appeared to replace and replenish the ranks of builders that have retired or passed away. After talking with many factory people including owners, sales reps and GM’s, the consensus is that most of the active modular home builders today will be old enough to retire in just 10 years. Finding new to modular builders, converting site builders and remodelers to modular and training them for success has never been a high priority with our industry. Recruitment and training has to start becoming one of the main focuses of the East Coast and New England modular home factories where most of the custom modular homes in the US are built. 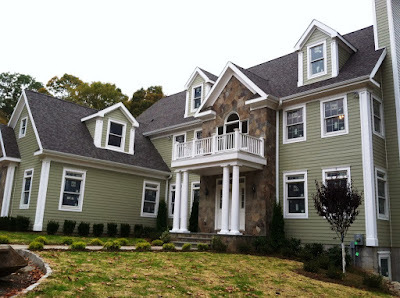 The modular home builders serving this market work mostly from showrooms or offices. This is different than just about any other region of the US that showcase homes, both modular and manufactured, on sales lots staffed by sales people. Customization is not something they encourage as most of their sales are from their factories plan books or delivered to the buyer directly from their sales lot. Even today, most modular factories that serve the EC and NE markets are not running at capacity and many do not have much of a backlog to carry them through the winter. The East Coast factories have always been known for producing some of the most beautiful and well crafted custom modular home in the US. That is a fact. The best! Better watch your step, it's not a place to stumble.